The Developments of Plastination – the most important milestones! 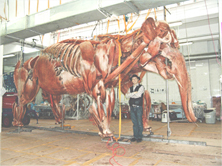 A team of specialists at the Plastination center in Guben is dedicated to completing and producing unique and extraordinary orders for plastinates, including a 200 kg (440.9 lbs) blue whale heart for the Royal Ontario Museum. Plastination is an internationally approved scientific process. There are now more than 400 laboratories in 40 countries around the world using Plastination to prepare specimens for academic study. 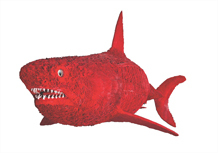 The BODY WORLDS exhibition celebrates its 20th anniversary. The Association of Science Technology Centers (ASTC) recognized Dr. von Hagens –inventor of the science of Plastination and creator of the BODY WORLDS anatomical exhibitions– for lifetime achievement and outstanding contribution to the public understanding of science. Plastination entered new dimensions with the plastination of the first large animal, an elephant known as “Samba.” After completing the world’s first specimen of its kind, Dr. von Hagens and curator Dr. Angelina Whalley created a new exhibition: BODY WORLDS of Animals, internationally known as ANIMAL INSIDE OUT. New developments allow for plastinated body slices to be colored as needed for optimal teaching. Coloration allows for never before seen distinctions between the various body tissues such as tight connective tissue and musculature or skin and subcutaneous tissue. The BODY WORLDS exhibition is displayed at the California Science Center in Los Angeles for the first time. With further exhibitions in renowned science centers, BODY WORLDS exhibitions inspire visitors in North America and beyond. Thanks to innovative developments of polymers, mechanically robust vessel configurations can be produced, i.e. synthetic casts of vessel systems. They are also called “corrosion specimens”, because in the process of production surrounding soft tissues are usually corroded away with enzymes or acids. Plastinates are shown for the first time in Germany. Unlike in Japan, the BODY WORLDS exhibition in Germany is accompanied by strong public controversies. Plastinated specimens are publicly displayed for the first time at the National Science Museum in Tokyo. The exhibition is surprisingly successful – it is visited by more than 450,000 people in only four months. The Plastination method continues to evolve and eventually reaches dimensions that outgrow its home at the university. 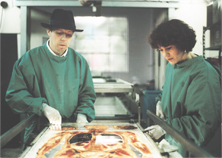 To manage, Dr. von Hagens founded the Institute for Plastination in Heidelberg. 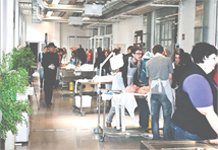 Dr. von Hagens established his own body donation program for Plastination. Currently, there are more than 17,000 donors registered in the body donation program (as of Aug. 2018), a majority of the donors are German. The first Conference on Plastination is held in Texas, and the International Society for Plastination (ISP) is founded. From then on international Plastination conferences are held every two years. His technology is noticed at professional conferences. In order to make his breakthrough in the field of anatomy available to other universities, he founded BIODUR. Today BIODUR continues to sell supplies and equipment for Plastination worldwide. 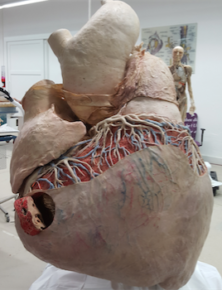 Dr. von Hagens spends the next twenty years at the Anatomical Institute of the Heidelberg University as lecturer and scientist. During this time, he continuously enhances his method of Plastination, and makes further inventions, such as the Plastination of thin translucent slices of bodies and brains. Many patents follow in various countries, particularly in the U.S.A.
During a research project on human kidneys Dr. von Hagens is inspired by the idea for Plastination. On January 10, 1977, he held the first plastinate in his hands. Plastination is thus invented. He realizes that this invention will become his life’s work. 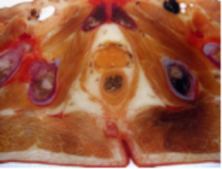 While working as an anatomical assistant at the University of Heidelberg, Dr. Gunther von Hagens sees specimens embedded in plastic blocks for the first time. He wonders why the plastic has been poured around the specimen in a block rather than stabilizing the specimen from within.